Markets are turbulent, we all know this. During most of our investment lifecycle this can be a positive as it gives investors an opportunity to “buy on the dip” as so many say. However, for retirees and those who are in the distribution phase of the investment lifecycle, market volatility can be very problematic. Simply put, once you start drawing down on your savings and investments to fund your standard of living a market correction can have a compounding negative effect on your portfolio, thereby increasing the possibility that you might run out of money. Once retired, or even as you approach retirement, investors need to shift their thinking from focusing on asset growth and increasing their net-worth to focusing on maximizing income in a tax efficient manner. This means that you must have a strategy that maximizes social security benefits, accounts for inflation – in particular the probability of a significant rise in medical costs – as well as distributions from taxable and qualified retirement accounts. One common mistake investors make is to underestimate the length of time their investments must produce income and how this expectation impacts their investments asset allocation. This often leads people to become too conservative which in turn leads to lower investment returns over long periods of time. Most investors have at least three potential sources of income: Social Security, taxable savings and investments, and retirement accounts. Depending on the individual’s circumstances and needs, a fourth and fifth source of income as a result of owning rental properties or the willingness to take out a reverse mortgage may be available. Unfortunately, many investors look at each of the income sources as separate and apart from each other, leading to inefficiencies. Regardless of how many sources of income you have or how large your portfolio might be, being smart about the tax consequences and understanding the importance of having flexibility from where to take income is critical. From an investment perspective, a comprehensive plan requires that we address timelines, taxes, expected medical costs, and the desire to leave assets to heirs. When I sit down with a client or potential client, we review all of these, and then structure a portfolio that we expect will provide the greatest level of flexibility going forward. We often use a combination of high-quality dividend paying stocks and other income producing investments, coupled with high-quality growth stocks and other longer-term investment strategies. In essence, we want to build a sustainable pension (like) plan for our clients. 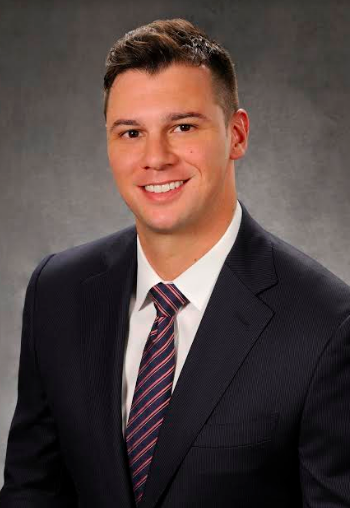 Chris Hanly is an investment consultant and CERTIFIED FINANCIAL PLANNER™ professional with Gary Goldberg Financial Services in Suffern and can be reached at (845) 368-2907 or chris.hanly@garygoldberg.com.